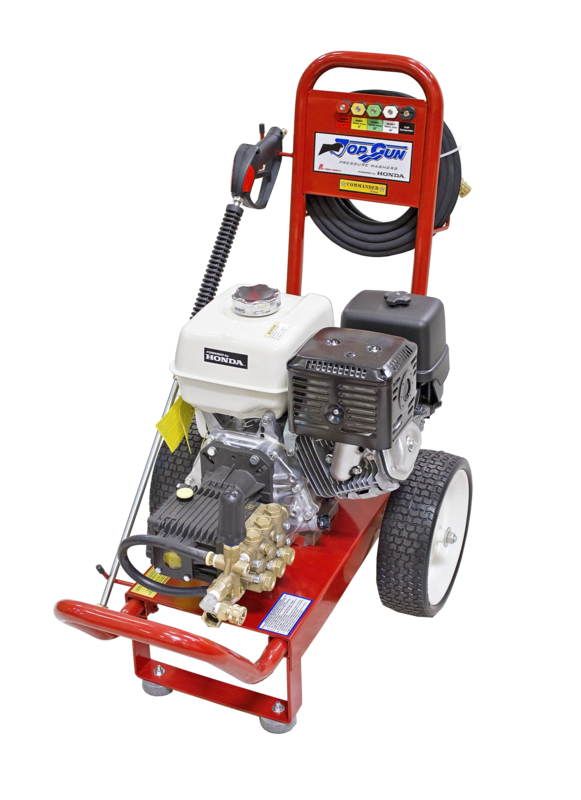 The Commander Series of Top Gun pressure washers offers users the option of an external bypass unloader. 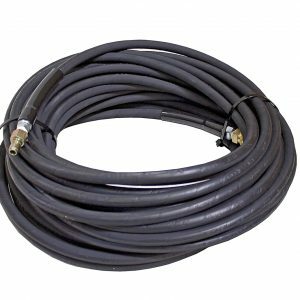 A running pressure washer will most commonly fail when hot water is left to build up inside of the pump and not released by the user. This can occur in a matter of minutes. 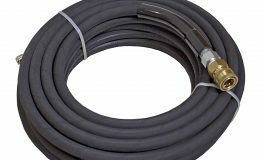 The PX390RA-4040EZ allows operators to detach the hose that circulates water inside of the pump, so that rather than building up heat when running but not spraying, the water spills to the ground and is constantly replenished by fresh, cool water. 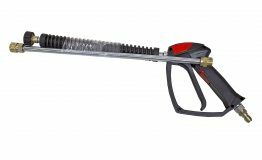 Perfect for commercial applications like roofing, deck maintenance, painting, and any other situation that may separate the operator from the machine for periods lasting for more than 90 seconds. 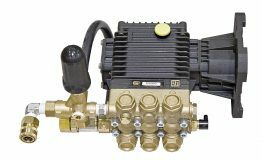 Powered by a GX390 Honda Engine and a General EZ Triplex pump, this model comes with a 3 year engine warranty and a 5 year pump warranty. 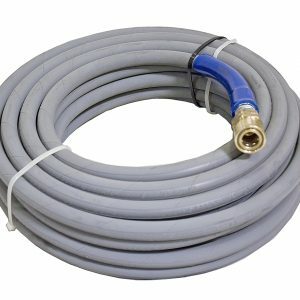 This unit comes standard with flat free tires, water intake filter, 5 cleaning nozzles, and quick connect fittings.